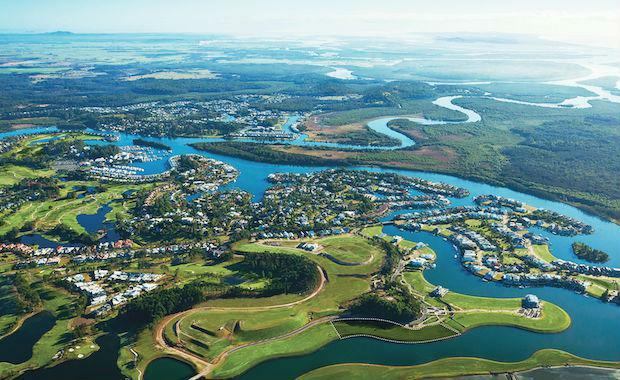 Gold Coast’s Sanctuary Cove has generated $20 million worth of waterfront sales in the last three months. It is the developer's first waterfront release in more than five years and has attracted a mix of local, interstate and overseas buyers. Mulpha Sanctuary Cove General Manager of Sales John Hughes said sales over the past few months demonstrated the demand for waterfront land and the tightening of the prestige resale market. “Our local land buyers have been driven by the lack of resale stock around and the subsequent price rises in this sector,” he said. “They are seeing the value of our land offering as the price disparity between resale and new stock has eroded. The north-facing lots have direct ‘bridge free’ access to the Coomera River and Broadwater, with ease of access to the Gold Coast’s waterways beyond. Recent auctions have seen nine resales, involving several multi-million dollar transactions including houses that sold for $6.1 million and another for $4.95 million. The land sales in Tristania bring the current release to the 50 per cent sold mark. A further 15 lots will be offered to the market at a later date. Sanctuary Cove is a resort-style community, features two 18-hole championship golf courses, a 300-berth marina, InterContinental Sanctuary Cove Resort and Country Club, as well as a 80 tenant strong commercial strip.